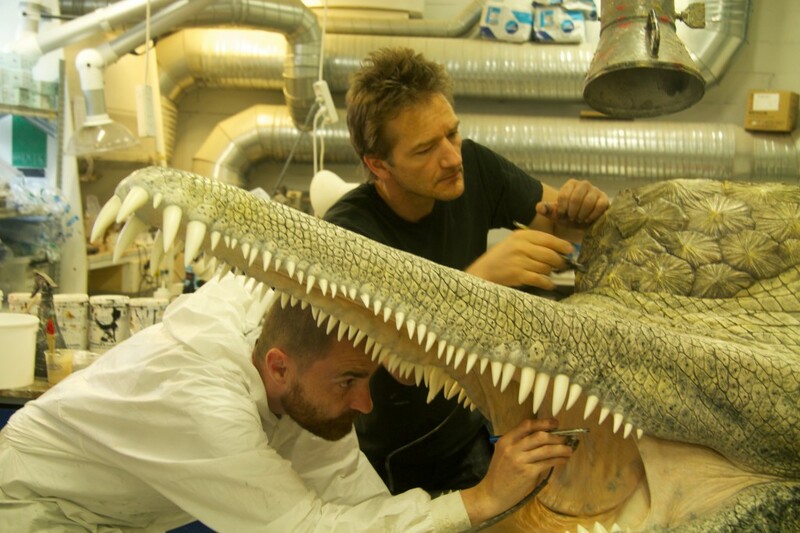 Supervised by Richard J. Butler and Michelle Stocker. 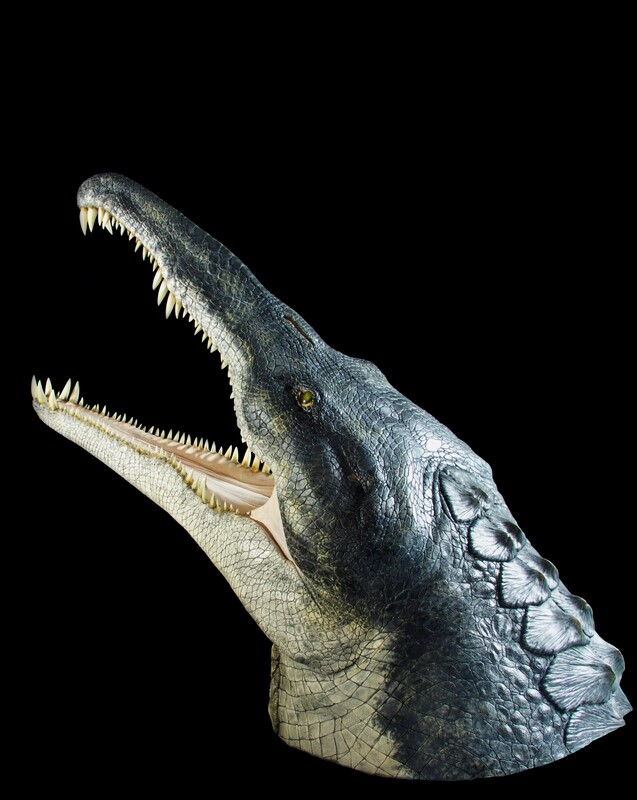 The phytosaur is an extinct group of large, mostly semiaquatic Late Triassic archosauriform reptiles, living about 229 million to 200 million years ago. 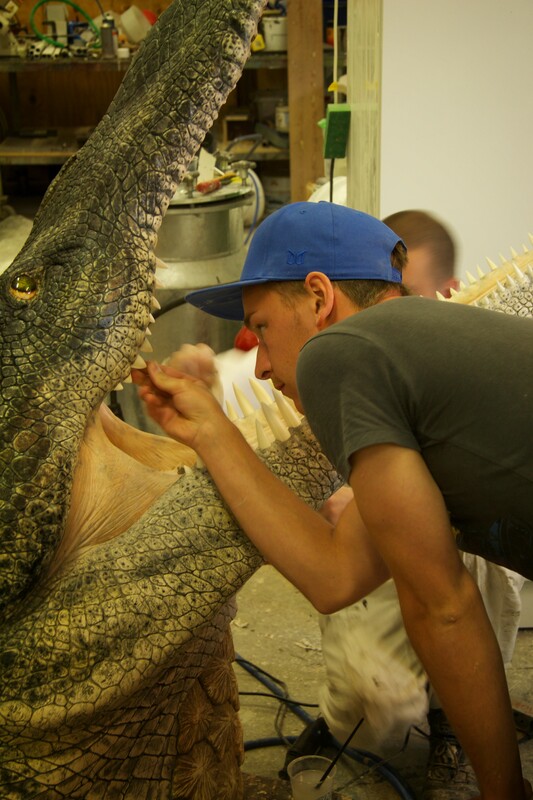 The phytosaur was long-snouted and heavily armoured, bearing a remarkable resemblance to modern crocodilians in size, appearance, and lifestyle. 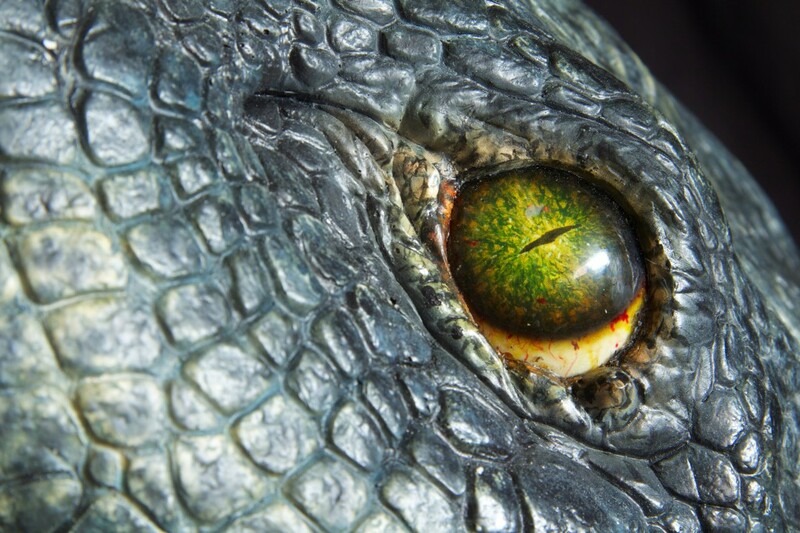 Phytosaurs were able to move about easily on land, and, although they were not ancestral to the crocodiles, they were distantly related and resembled crocodiles in appearance and probably in habits as well. 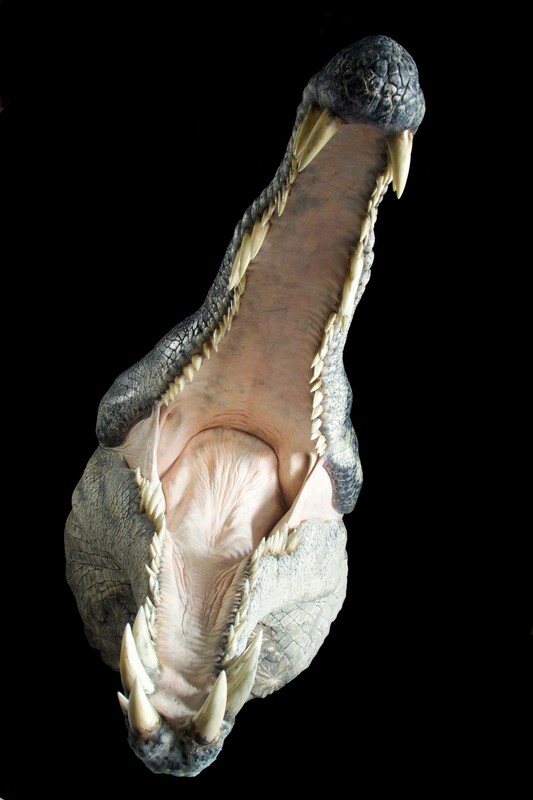 The long, pointed jaws were armed with numerous sharp teeth, and it is probable that the phytosaurs preyed largely upon fishes. 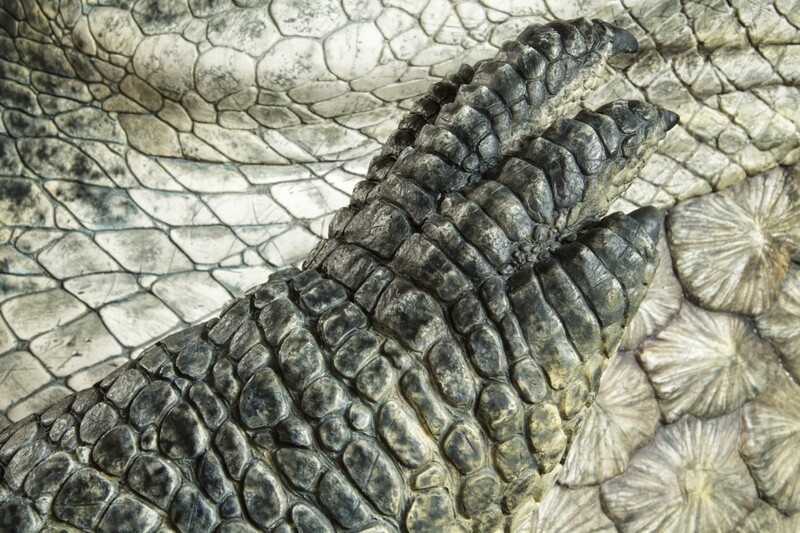 Like crocodiles, they had several rows of bony armour embedded in the skin along the back. 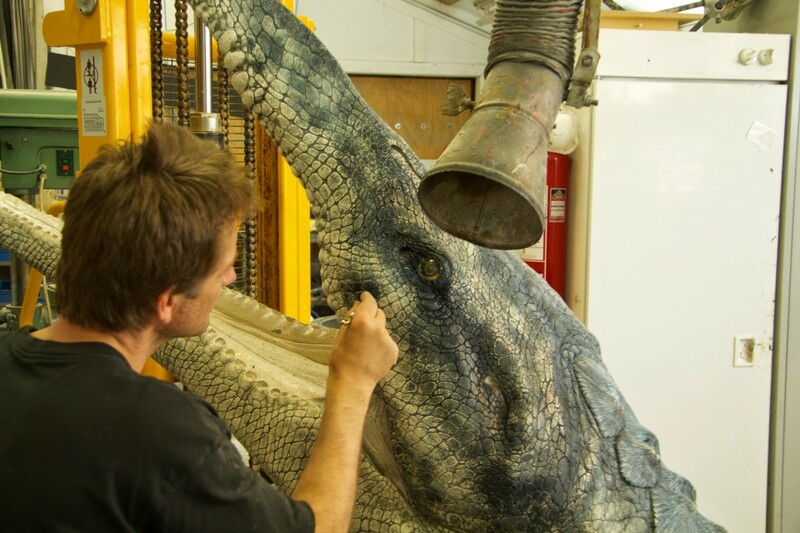 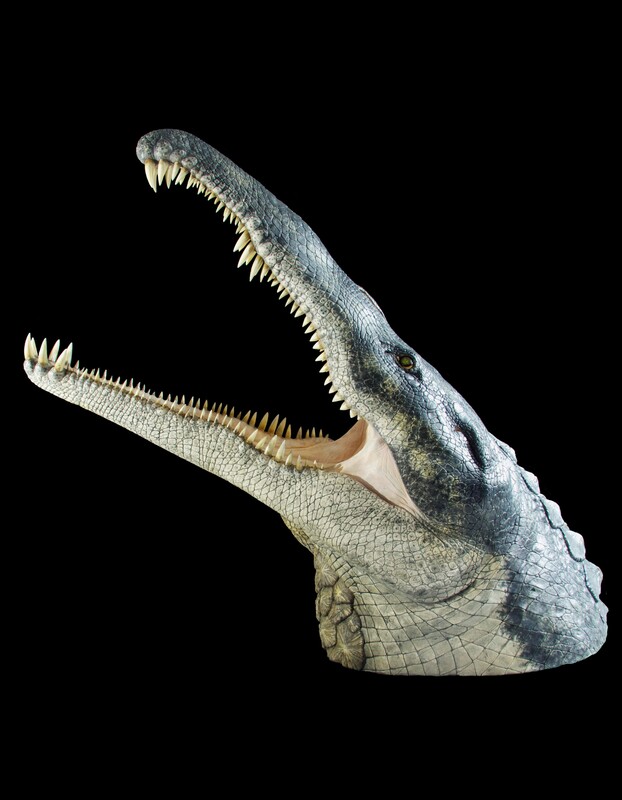 The nostrils in the phytosaurs were set on a crest high on the skull in front of the eyes; this adaptation allowed them to float just underneath the water’s surface, with only the nostrils protruding above it. 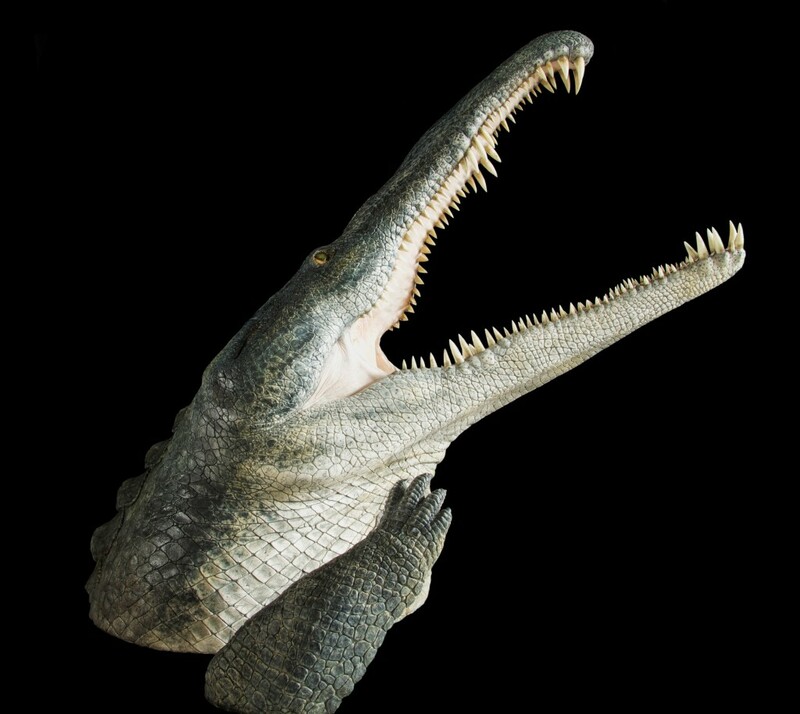 The name "phytosaur" means "plant reptile", as the first fossils of phytosaurs were mistakenly thought to belong to plant eaters. 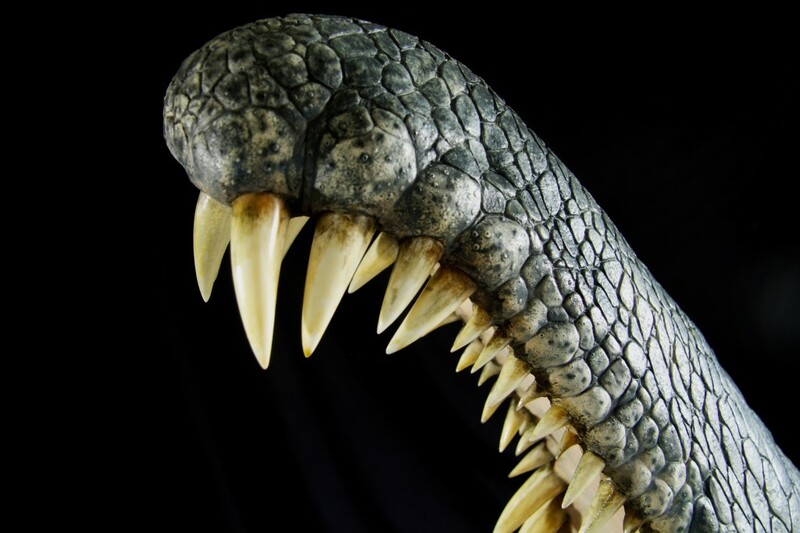 The name is misleading because the sharp teeth in phytosaur jaws clearly show that they were predators. 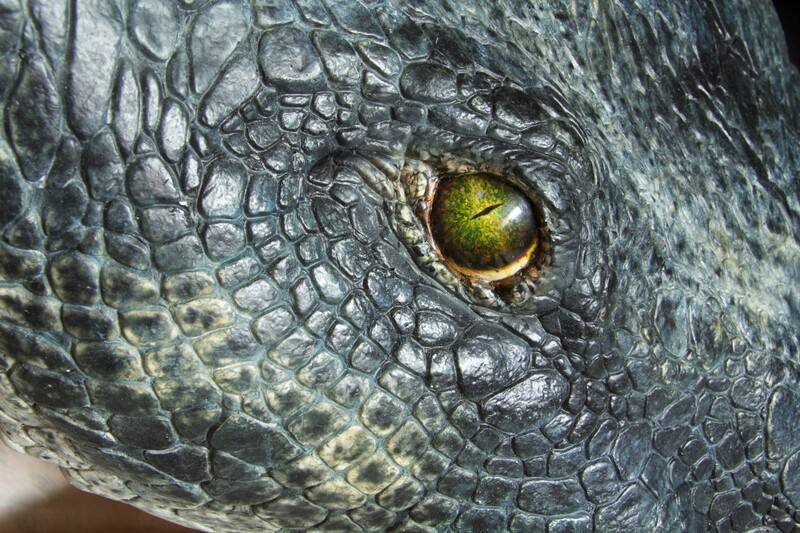 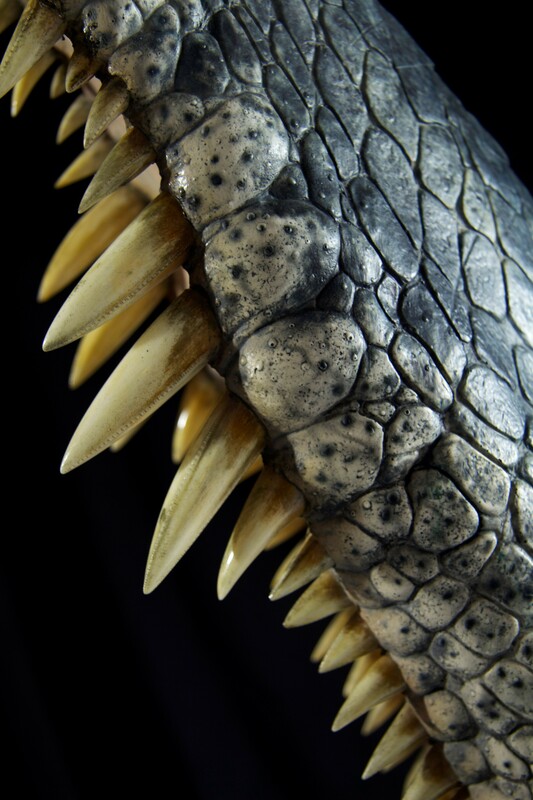 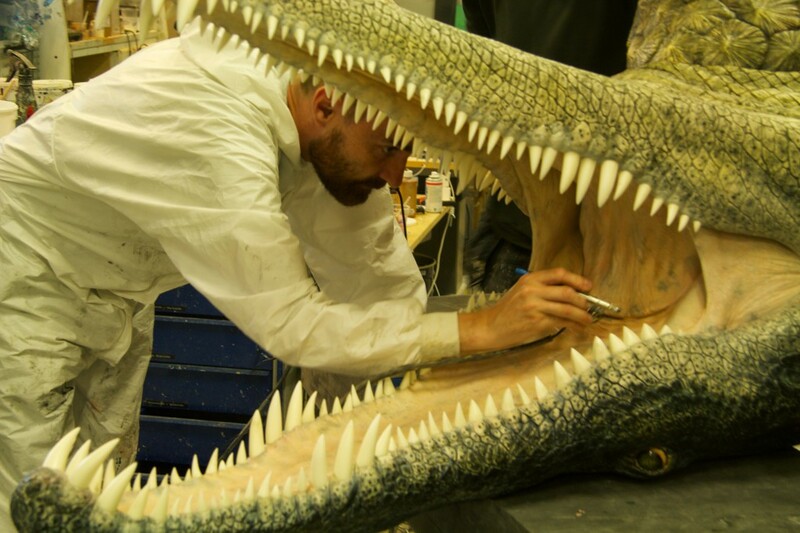 Unlike most crocodilians, phytosaurs have tooth serrations. 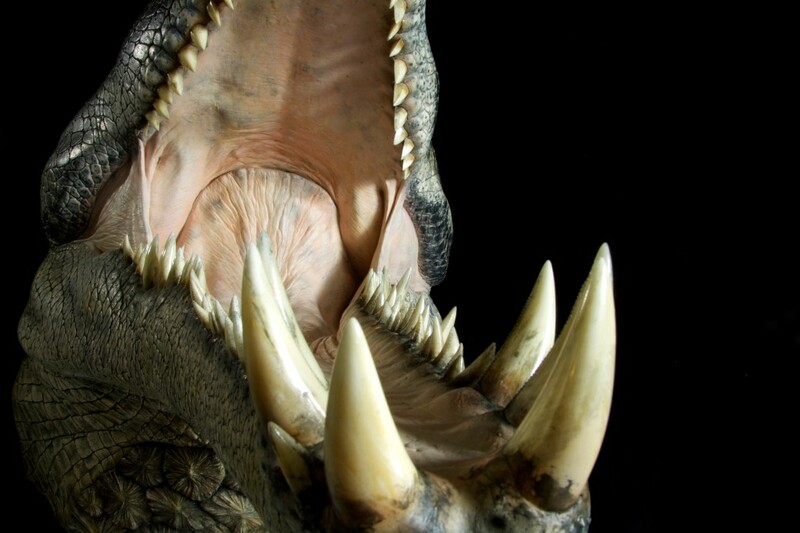 This seems to suggest that they did not engage in the typical "death rolls" associated with crocodiles and alligators, but probably relied on more typical meat-slicing techniques instead, when their prey were of a larger size.